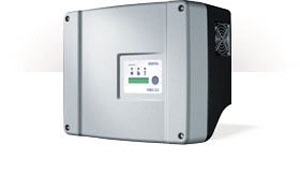 Photovoltaic solar inverters are suitable KOSTAL Piko in various fields of application. Multi-string inverters, three traquers MPP, easy installation, and complete communications system configured for multiple countries. For three-phase inverters, a cut electronic circuit is integrated in order to avoid voltage asymmetries.